Home / brand new / música / Roniit / Savoy / Savoy Unveil New Single "How U Like Me Now"
Savoy Unveil New Single "How U Like Me Now"
Let's carry on dancing guys! 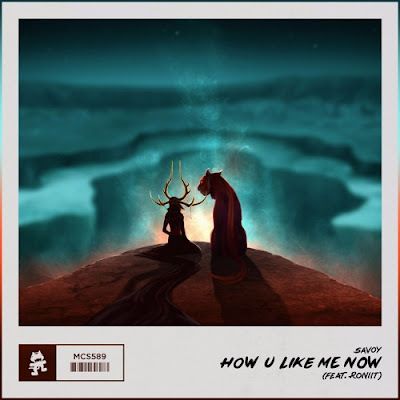 Savoy have unveiled their brand new single How U Like Me Now. Featuring the heavenly vocals of Roniit, this infectious progressive rock rooted record exhibits Savoy’s musical ability to transcend listeners to an otherworldly place. I just feel like dancing guys! It has that anthemic/summer festival vibe to it! Stream it below! How U Like Me Now was a really fun track to write. Once we had the baseline and the main melody down, there was so much energy, we knew we really had something. We originally played the song out on tour with a demo vocal that we had written and were stoked to see such a wild crowd reaction on a more melodic song. Then we connected with Roniit and she wanted to write on the tune, we were super excited because we had just become familiar with her amazing voice since she had the top sample pack on Splice at the time. The second we heard her vocal demo, we instantly loved it and knew it was the one for the track. We were able to meet up with Roniit in Denver when she was in town resurrecting her epic conversion van (sometimes available on Airbnb) and ended up finishing the track together over about 30 pomplamoose la croix’s.